Powered by a 224cc single cylinder engine from Mountfield with manual transmission, and supplied with a reliable 26 inch single bladed cutter deck. A straightforward and easy to use petrol ride-on, with a 98 cm dual-bladed cutter deck and a 352cc Stiga engine. 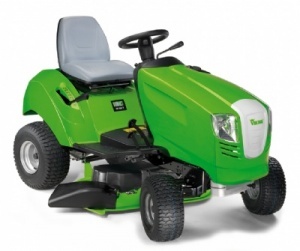 This is an extremely compact, collecting lawn tractor suitable for 1000m2 gardens. It features 2 different cutting systems, so you can decide between collecting or mulching functions. 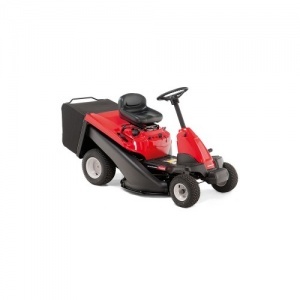 Powered by a 224cc single cylinder engine from Mountfield with hydrostatic transmission, and supplied with a reliable 26 inch single bladed cutter deck. 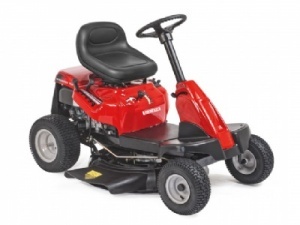 The first lawn tractor in the sub 84 cm category with a twin bladed cutting system, this Mountfield will give an amazing clean finish, while still being able to fit through a garden gate. 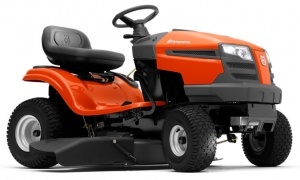 This is a side-discharge lawn tractor with a large 96 cm / 38 inch double-bladed cutter deck. 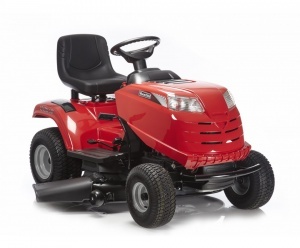 It is incredibly manoeuvrable and features six speed transmatic transmission as standard. 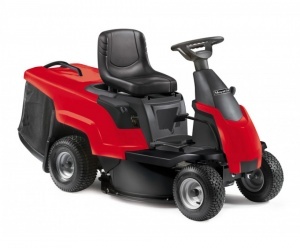 The Lawnflite MiniRider 60RDE is a compact ride-on mower, ideally suited for the smaller garden, Features a 60cm/24 inch cutter deck, and a B&S 875 series electric start engine. 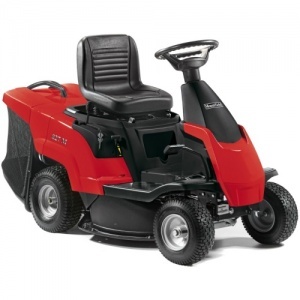 The 76SDE OPTIMA LMiniRider is a very compact and versatile machine that is easy to manoeuvre, powered by a MTD 420cc single cylinder key start engine. 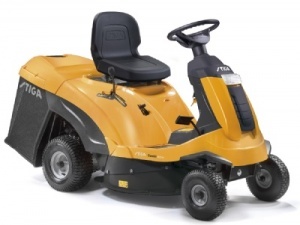 The Stiga Combi 1066 HQ is a small and compact ride-on mower designed for gardens up to 0.75 acres, featuring a 223cc single cylinder Briggs and Stratton engine, with hydrostatic transmission. 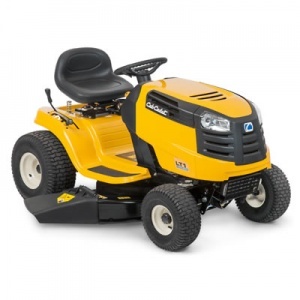 Designed for gardens up to 1 acre, the Stiga Combi 3072 H is powered by a reliable and durable Briggs and Stratton 344cc engine with a hydrostatic transmission offering ease of use. The STIGA Estate 2084 is suitable for medium gardens up to 3000 sqm and is powered by a single cylinder 7.4 kW STIGA engine. With a 84 cm twin blade cutting deck. A user-friendly tractor with side discharge cutting and a 97 cm cutting width, this is a versatile and efficient tractor also compatible with a wide range of attachments. This impressive hydrostatic ride-on from Stiga benefits from a 452cc engine that works in concert with the 98 cm, dual-bladed cutter deck. 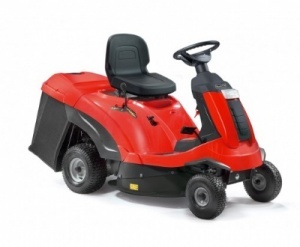 The 76RDE OPTIMA LMiniRider is a very compact and versatile machine that is easy to manoeuvre, powered by a MTD 420cc single cylinder key start engine. Includes a useful collector. This twin-bladed side discharge tractor has a 38 inch cutting deck and is ideal for areas up to the size of a small paddock. Includes a mulching kit as standard for more versatile operation. 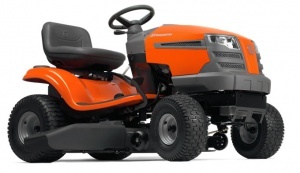 This Lawnflite SMART 603RT tractor has a cutting width of 76cm/30 inch, and a reliable 12. 5hp Briggs and Stratton petrol engine. 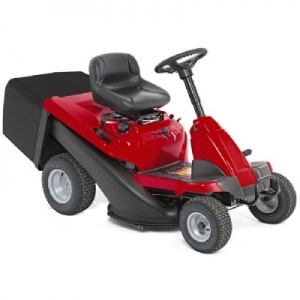 This ride-on mower is powered by a single cylinder 7.4 kW STIGA engine, and features hydrostatic transmission, plus a 84 cm twin blade cutting deck with 7 cutting height adjustments. 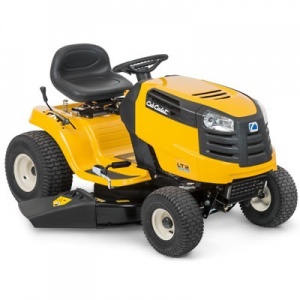 This 108 cm cut lawn tractor is ideal for lawns up to 3.5 acres where you don't want to collect the grass clippings as you go. With a mulching plug included and hydrostatic transmission for easy operation. The Viking MT4097 SX T4 is a 38 inch/95cm tractor, featuring a B&S 3130 series 13.5hp OHV engine with hydrostatic transmission, and a side discharge. High-performance Rider for the more demanding part-time user. Can be fitted with a 103cm or 112cm combi deck. 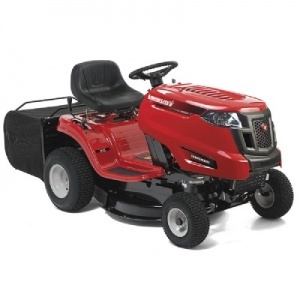 Ideal for lawns up to five acres, this is a four-wheel drive lawn tractor powered by Briggs & Stratton's impressive Intek 8240 twin cylinder engine.